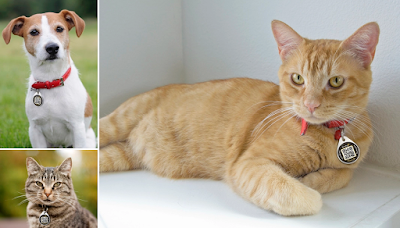 A few months ago I bought two Dynotags for my beloved pets, a German shepherd and a cat. It's not like I really needed them or something but when I saw this product on youtube I was like.. God, I need to buy one! I just loved the idea of someone scanning my dog's tag and me getting an instant email with the location of my dog! FYI, there are many variants of the DynoTag, I got the one that is only QR enabled. There is also this version that supports NFC too. Quality/Durability: The tags are made of steel and appear and feel very durable. My pets wear them almost 4 months now and they look as good as new. Both my pets are fairly active, although not the "crazy" type of active. Easy to use: The tag is very easy to set up and works exactly as it is supposed to. I have scanned it with my phone numerous times and the page with all the information pops right up every time. The page is very easy to update if you change address, telephone number or decide to add something new. Fast Alerts: Anytime the QR is scanned you almost instantly receive an email telling you that someone has viewed the tag and you also get the location where the scanning occurred. To my knowledge, the cheapest place to get Dynotags is Amazon. Click here to see all the different designs and to view prices. So this is pretty much my review of the dynotag pet tags. Yeah, I know it's short but I can't think of something else to say!. If you want to ask me something just leave a comment! I have included some more information down below about dynotags and how they work in case you want to know more before buying one. What is Dynotag and how does it work? 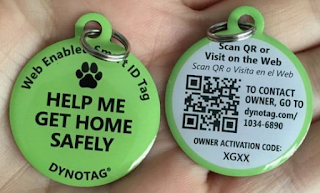 Dynotag is a fancy pet tag for dogs, cats and other pets that can you give some extra peace of mind if you are too worried of losing your little buddy. Each tag features a QR (Quick Response) barcode that is displayed on the tag. You can add as much information as you like including a contact number, pet name, address, vaccination information etc. 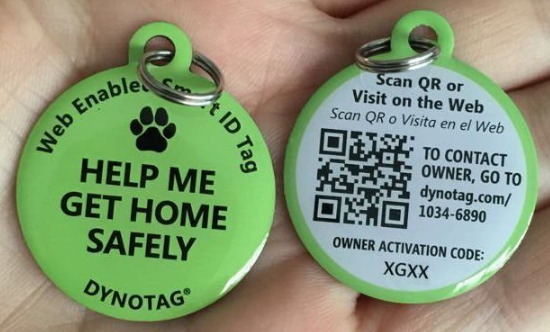 This is their main advantage to engraved dog tags which only have a very limited space for vital information If someone happens to scan the QR or uses the NFC he will view all that stored information and you will be notified about your pet's location. Once you are finished with the information the tag is activated and is ready for use. Just attach it to your dog, cat or whatever and that's it! This is a passive GPS pet tracker. This means that it can't be used to track your pet on demand. You only get to know where your pet was when the tag was last scanned! 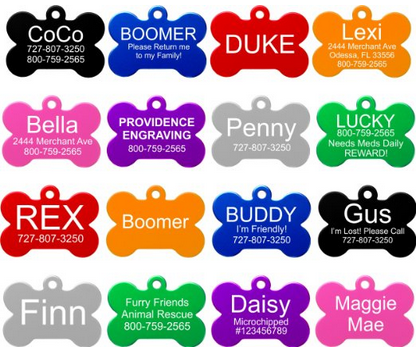 1) Deluxe Steel Pet Tag with Protective Coating and Ring: This is their most popular, top selling product. It's made of tough steel with a protective coating that also reduces the noise most metal tags make. They come with a stainless split ring to hang on the existing collar. 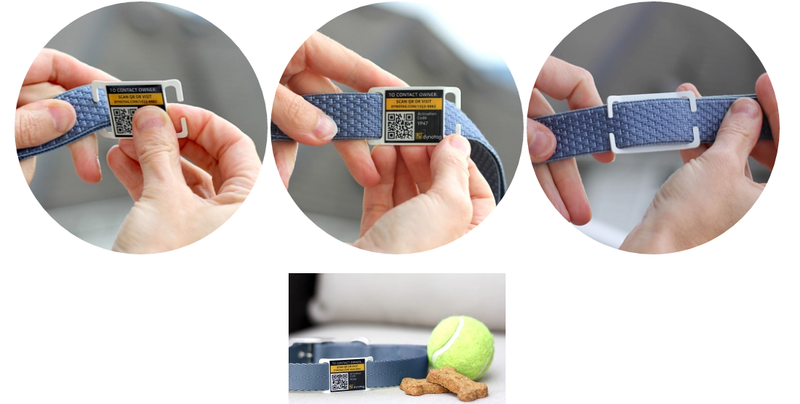 3) NFC Enabled Pet Tag: Similar in appearance to the steel tags. They have the exact same features with the addition of an NFC chip. They are manufactured on a PVC core and they are not as tough as the other two, making them more suitable for smaller and less active animals. 4) Synthetic Tags: These are perfect for cats and small dogs. Made of thin yet tough and lightweight material. Not as resilient as the other designs, so avoid them if your pet is very energetic and active. 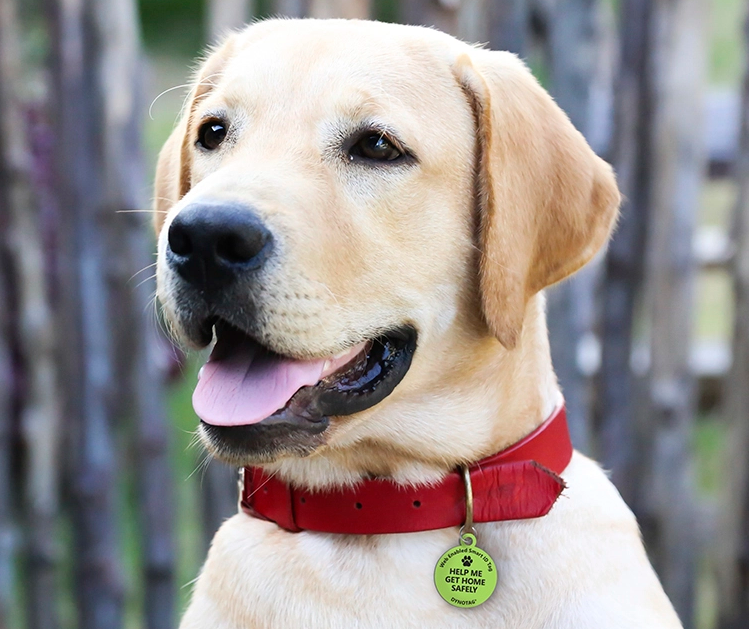 Closed Slot slidertags: For ultimate security on your existing pet collar. They can't be chewed or scratched off and become an integral part of the collar. They require an existing collar without attachments or rivets that would prevent them from sliding. Open Slot slider tag: Perfect for maximum convenience in attaching to existing collars. The Dynotag© Smart Tag is a nice little gadget that does exactly what it promises. I think it's a nice gift for people worried of losing their pets or for geeky pet owners. Finally, I want to mention that this is not a sponsored post or a paid ad or something! I genuinely own and enjoy using this product. However, I am using the amazon affiliate program so I make a very small commission (about 6%) if you decide to buy the product using the links on this site. This comes at no cost at you and it helps support the site :) Just open amazon directly and search for the product manually if you don't want to give us credit. Have you tried Dynotags yourself? Feel free to share your review or experience in the comments down below! Got their luggage tags and stickers - love those!